Headquartered in New York City, Microecologies has over two decades of experience investigating the world’s most challenging indoor environments. From toxic mold hiding behind walls in otherwise pristine high rises, to mercury and lead paint lurking in historic brownstones and lofts, we’ve uncovered the sources of serious health hazards in over 5,000 cases. Physicians seek our services to identify the sources of allergies and asthma on behalf of their patients, and attorneys engage us as expert witnesses in lawsuits involving mold growth problems. We’ve worked for Fortune 100 companies, property managers, architects, and individual tenants and homeowners. We’re ready to work for you, so contact our team today. Leading health organizations regularly consult experts from the Microecologies team when preparing best practices for managing mold, water damage and lead poisoning. Our insights have been published by the Department of Health and Mental Hygiene (NYC DOHMH), the US Dept. of Housing and Urban Development (HUD), the National Institute of Health (NIH) and even the World Health Organization (WHO). When the media needs a reliable source? They call us. We’ve been interviewed by ABC Nightline, NBC Dateline, the New York Times, the Wall Street Journal and This Old House and we were awarded Best of NY by New York Magazine. Get to know our team, led by founder Bill Sothern, MS, CIH, LEED AP. You deserve to feel safe where you work and live. That means being clear about health hazards in your indoor environment, and not having to worry and wonder if your family, your tenants or your employees are breathing in black mold or being exposed to allergens that cause asthma, sinusitis, and rhinitis. Get 100% certainty and trusted answers from a Microecologies inspection. 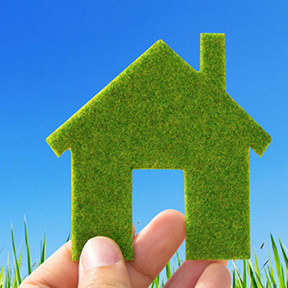 Microecologies is uniquely qualified to clear up your concerns using the latest technology, proven scientific methods, and our team holds the highest possible certifications in indoor environmental health and hygiene. First and foremost, we’re scientists…putting the health of your indoor environment under the microscope. Our inspections involve meticulous data collection, testing, and reports which provide expert interpretation of results and site-specific recommendations. As scientists, we stay on top of the latest technology and research from established scientific and medical journals. But we also understand building envelope construction and mechanical systems, which enables us to dig deeper than any of our competitors, get to the bottom of your problem, and help you solve it. Our greatest satisfaction comes from identifying and eliminating the indoor environmental causes of our clients’ health problems, and learning of their improved health outcome. Our belief that everyone deserves a clean, healthy indoor environment has guided our non-profit and community service work. We’ve authored changes to the NYC Building Code to better protect occupant health. And we contributed our expertise to communities affected by Hurricane Katrina and Superstorm Sandy for many months following those disasters.